The Association of American Medical Colleges, along with 65 healthcare stakeholders are backing legislation that would help address the national physician workforce shortage by gradually adding new Medicare-supported residency positions by 2025. In a letter to Congress, the association and stakeholders said the legislation “would provide a responsible increase in Medicare support for graduate medical education” to address the shortage. “While we understand the many challenges Congress faces in the coming months, we stress the need to expand Medicare’s support for physician training to ensure all Americans have access to the care they deserve,” they wrote, citing a projected shortfall of between 42,600 and 121,300 primary and specialty care physicians by 2030. 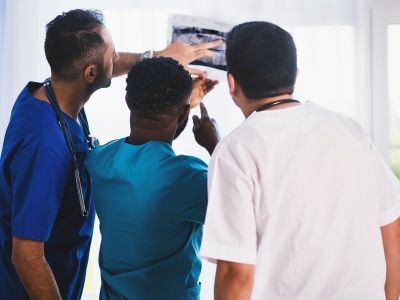 The Resident Physician Shortage Reduction Act of 2019 was reintroduced by a bipartisan group of lawmakers — including Sens. Bob Menendez, D-N.J.; John Boozman, R-Ark. ; and Minority Leader Chuck Schumer, D-N.Y., and Reps. Terri Sewell, D-Ala., and John Katko, R-N.Y., according to the association of medical colleges. The legislation, if passed, would add a total of 15,000 Medicare-supported residency positions between 2021 and 2025.